There is just a little over seven hours left to get your hands on a special card. 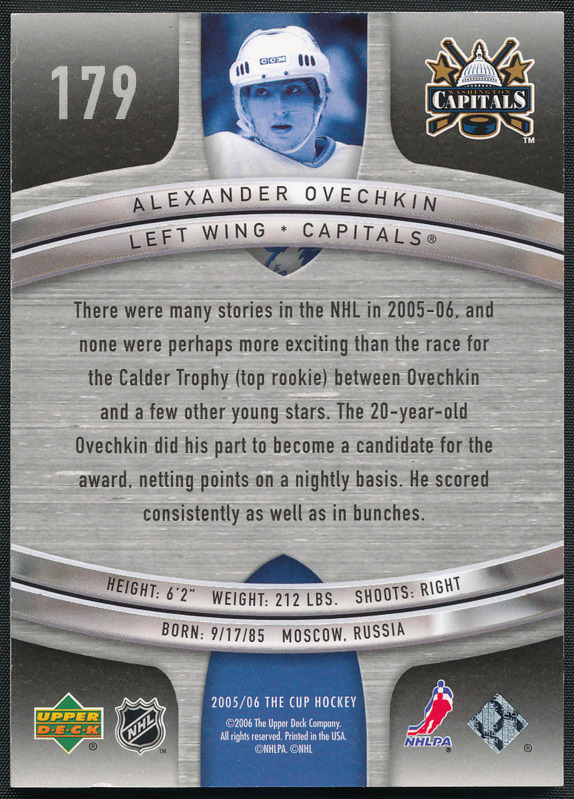 Its a 2005-06 The Cup Black Rainbow Alexander Ovechkin Rookie Card 1/1. All you need is the winning bid at 8:00 PM PST and the money to cover that bid which must beat the current bid that stands at 9,189.00 US Dollars. Yep, you read that right. Assuming there are no more bids after this one, you can have this card, with shipping, for just a shade under $9,300. This card is currently the most watched trading card on eBay with 682 followers and has cracked the top 10 most watched for the year. 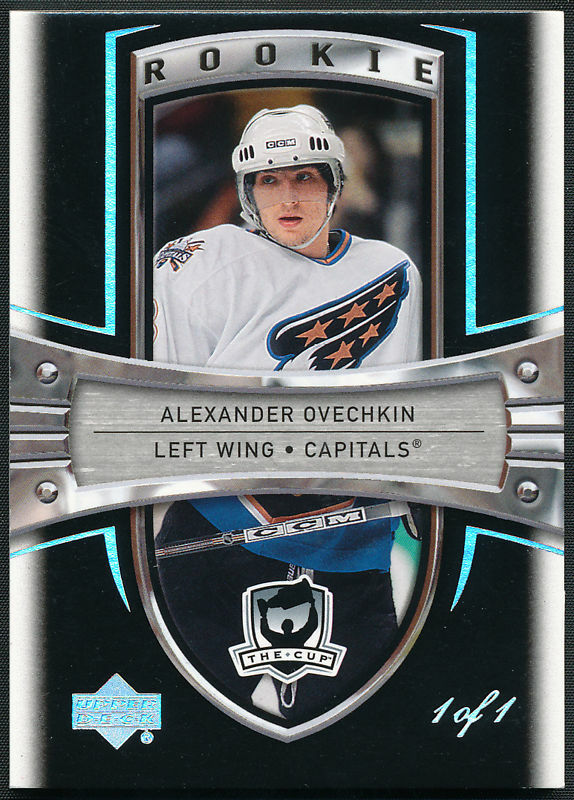 Who says that hockey cards are not that valuable? We will let you know what it sold for when the bidding ends. Even if I had Bill Gates' wallet... I don't think I'd buy this. I'd rather have a bunch of HOF autos, instead of one super star 1/1 rookie card auto. But... I must say... I'd rather have this than one of those super pricey Strasburgs. At least this guy has proven to be a super star. What are you thankful for... sports card wise?